I am very proud to be a part of this amazing and very deserving organization! 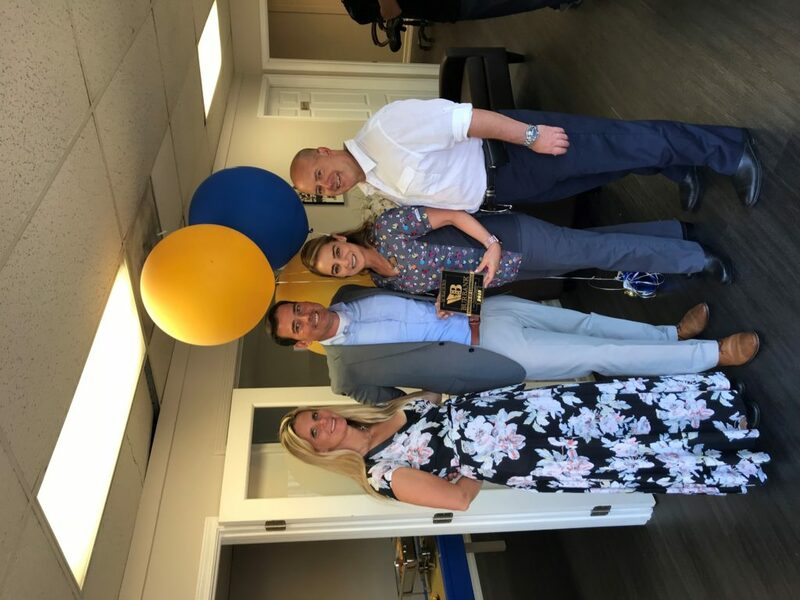 Burbank’s top civic, business and community movers and shakers joined together on August 23 to celebrate the opening of top commercial real estate broker Paul R. Herman’s new firm, The Herman Company. 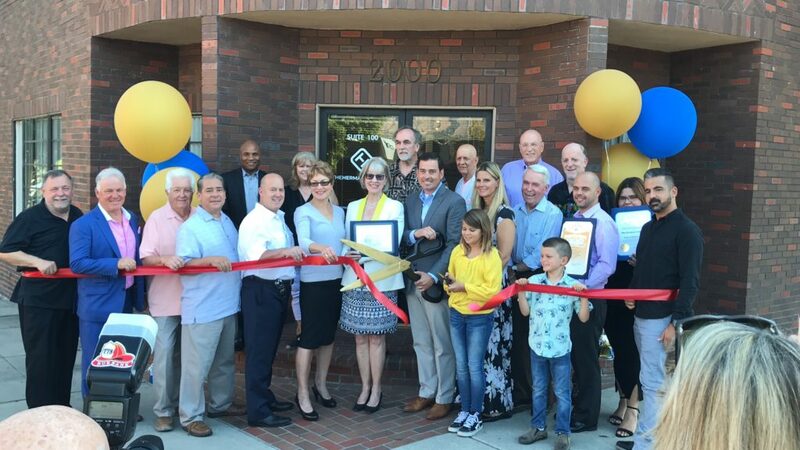 “The turnout we have today is totally impressive, but not surprising, because Paul Herman is really a great part of our community,” said City of Burbank Mayor Emily Gabel-Luddy at the event. Mayor Gabel-Luddy was amongst the unprecedented 60 attendees whom also included City of Burbank Councilmembers Bob Frutos, Sharon Springer and Tim Murphy, Burbank Chamber of Commerce CEO Tom Flavin, Michael Cusumano of Cusumano Real Estate Group, Leo Divinsky of Worthe Real Estate Group, Boys and Girls Club of Burbank and Greater East Valley CEO Shanna Warren, representatives from the Offices of State Senator Anthony Portantino, Assemblywoman Laura Friedman, and County Supervisor Kathryn Barger, as well as many family, friends, and clients. 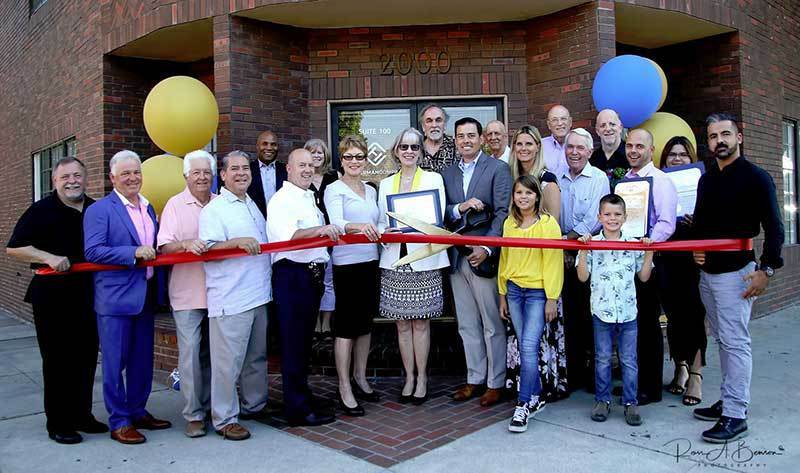 Joining Paul Herman was his wife, Amy, a teacher at L.A. Unified School District for the past nearly 16 years, and his middle school-aged daughter, Agnes, who cut the ribbon during the ceremony, and 7-year-old son, Dean. “Relationships are all I have to offer, and the relationships that I have with so many of you is what makes what I do worthwhile,” Herman remarks during the ribbon-cutting ceremony. 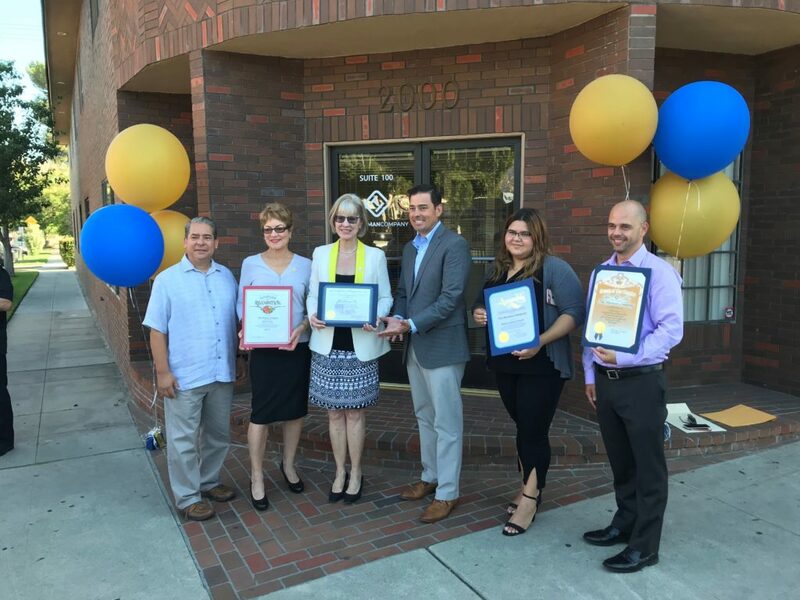 Dedicated to supporting community, Herman is the Board President of the Boys and Girls Club of Burbank and the Greater East Valley, and a board member of both the Burbank Water and Power and Burbank Noon Rotary Foundation. Specializing in the sales, leasing, and management of industrial and commercial properties in Southern California, The Herman Company is actively engaged in the commercial real estate sector, and will be listing a $28.6 million downtown Los Angeles redevelopment project soon. 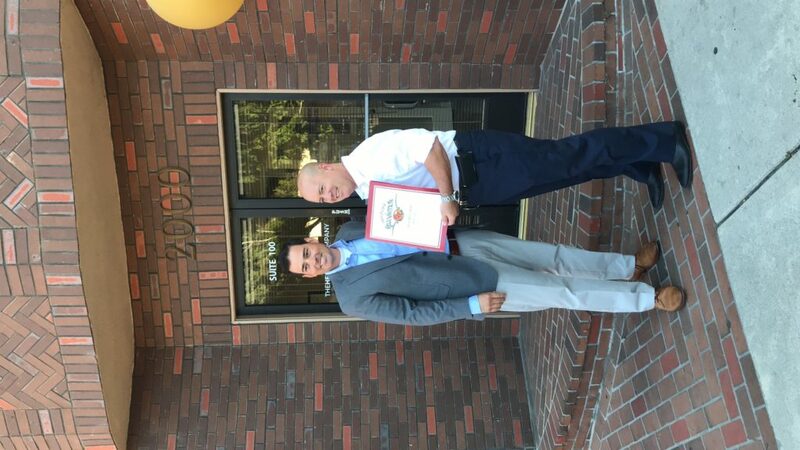 The Herman Company office is located in the City of Burbank at 2000 W. Magnolia Blvd, Suite, 100, Burbank, CA 91506. Fore more information, call 818.748.3411 or visit TheHermanCo.com. 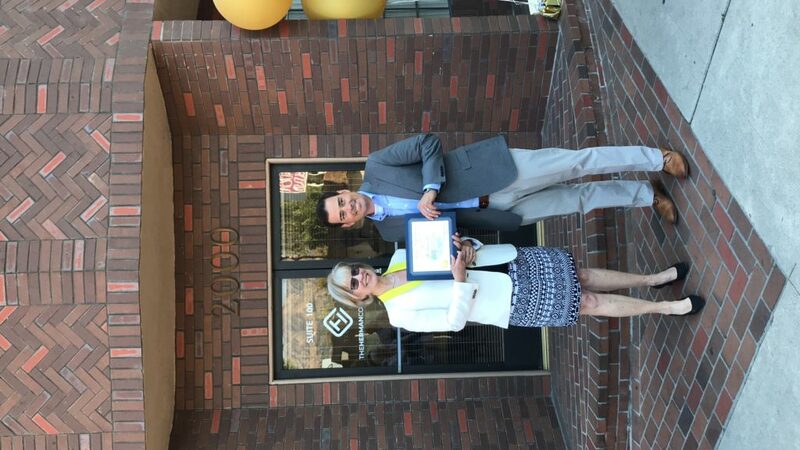 Please join us for the Ribbon Cutting Ceremony hosted by the Burbank Chamber of Commerce celebrating the launch of the Herman Company on 8/22/18 @ 4:30pm. 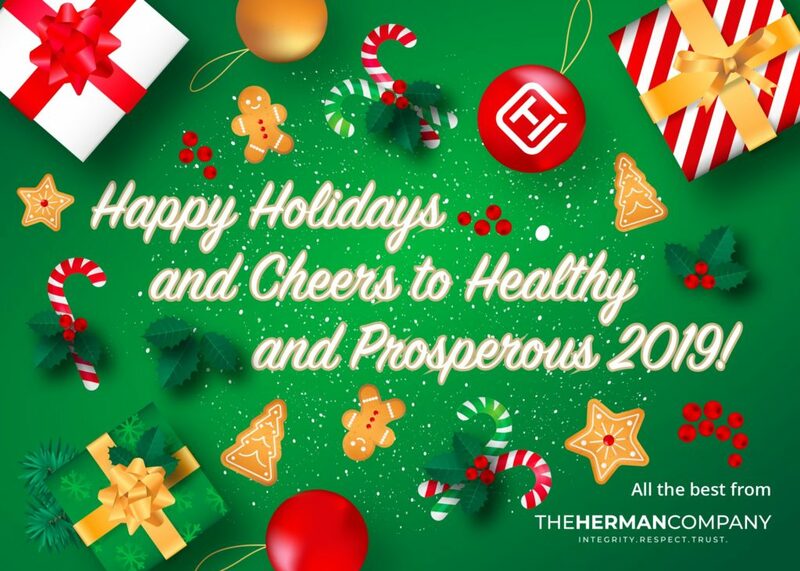 The Herman Company is a Commercial Real Estate Brokerage specializing in the sales, leasing, and property management of industrial, office, and retail properties in the Greater Los Angeles Area and throughout Southern California.